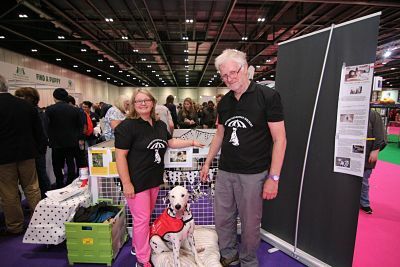 British Dalmatian Welfare is there to support the Dalmatian and educate the public about our beautiful often misunderstood breed. We offer help and support to owners and ultimately will find a new homes for Dalmatians in need. 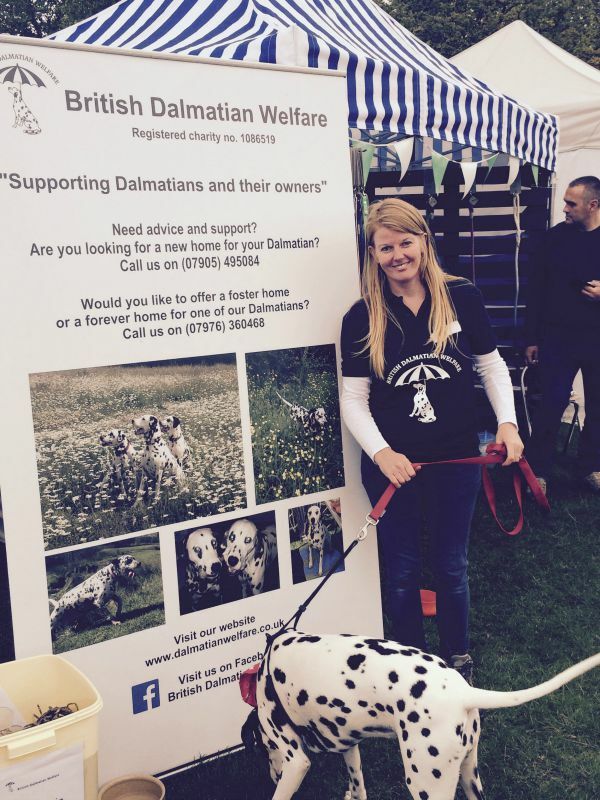 Would you like to become a friend of British Dalmatian Welfare? In return for a £5.00p annual fee which will go towards funding our work, you will receive a regular newsletter. You can choose to get involved in our day-to-day work, many of our friends go on to volunteer to check homes and assess dogs. Many of our friends help us transport dogs and attend fund raising events across the country. If this was something you think you would like to be part of please click the link friends download the form complete it and post it along with your membership fee to our Friends coordinator Marion Wildey 22 Columbia Drive Leighton Buzzard Bedfordshire LU7 3YN. We do not share your contact details with any other organisation. Kerrie our social media coordinator and Dalmatian Rosie at Pupaid Primrose Hill Park London. 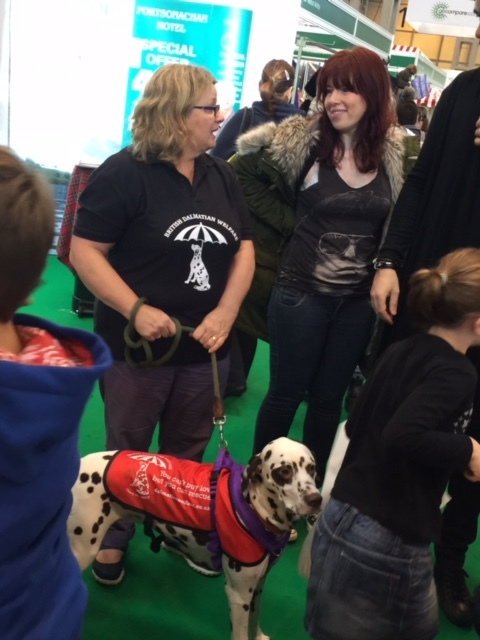 Valerie rehoming coordinator and Dalmatian Cassie at the National Pet Show NEC Birmingham.